Pacific Institute of Technology, Udaipur is the first choice for the aspiring engineering students as one of the Top Engineering Colleges in Udaipur, Rajasthan. In the era of cut-throat competition and high demand for quality qualified engineers, PIT prides itself in contributing its bit to the best of the capacity. 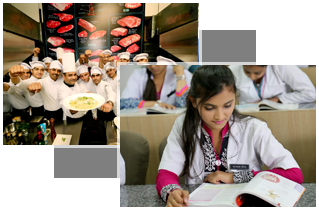 Established in 1997, the Pacific University has made a mark on the educational map of India. Over the last 19 years, the Pacific Society has continued to make rapid strides in the field of higher & technical education. It has established more than twenty one institutes and become a multi-disciplinary conglomeration of colleges providing higher education in the diverse fields of Engineering, Management, Dentistry, Pharmacy, Computer Application, Hotel Management, Fire & Safety Management, Polytechnic Diploma, Mass Communication, Fashion Technology, Education, Arts, Law, Commerce, Agriculture, Yoga, Dairy & Food Technology, Basic & Applied Sciences, M.Phil. and Research Programmes (Ph.D.) in all relevant disciplines. Now you can get free online career guidance by following our youtube channel.our experts will talk about various career options that are available for students of different streams.